Hideo Kojima is fascinated with tablets and smartphones interacting with video game consoles, and he wants to bring mobile devices into Metal Gear Solid V: The Phantom Pain in the biggest possible way. What’s a bigger way than allowing fans to create their own missions within the game’s open-world for others to play? In an interview with PlayStation Official Magazine UK, Kojima states that there are no rules in creating your own missions. To date, the Metal Gear Solid games have all been linear experiences, but their replay value extends greatly based on how you choose to tackle missions, via handy gadgets, total stealth, or just straight up shooting. 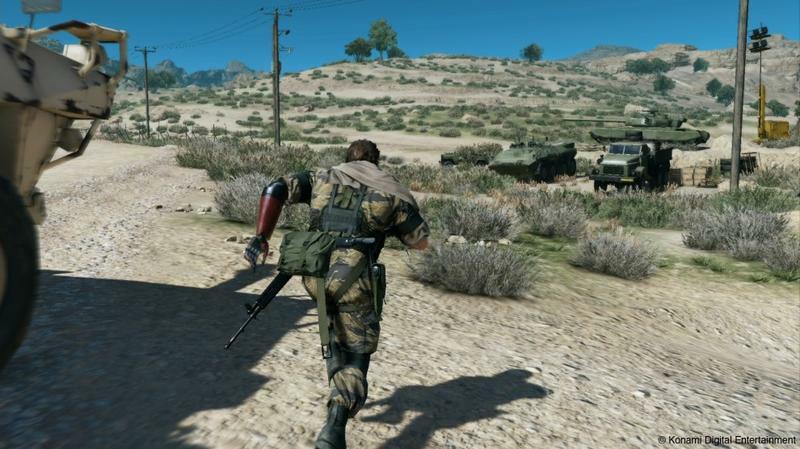 Adding an infinite supply of missions generated by users should prove to make Metal Gear Solid V: The Phantom Pain the most extensive yet in the series. Kojima believes he can make full use of cloud services like PlayStation’s Gaikai to make this as streamlined as possible. Do you have a dream mission in mind for Metal Gear Solid? I have a feeling some genius fan is going to make a perfect Red Dead Redemption crossover down the line. Tell us about it below, and then make it so we can give it a try when it releases for the PlayStation 3, PlayStation 4, Xbox 360, and Xbox One.